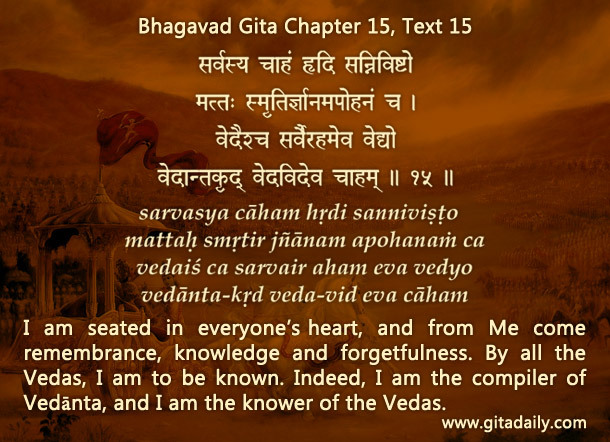 No, Gita study is not for living in the past – or for that matter in the present. It is for living in the reality of who we are: eternal souls who are meant to delight in a life of love with Krishna in his transcendental abode, an abode where the divisions of material time in terms of past, present and future don’t exist. “eternal present” conveys the reality of the soul’s transcendental existence, wherein every present moment is an opportunity to love and serve Krishna, and such present moments go on eternally. To help us attain the eternal, the Gita gives timeless principles of living and loving, so that we can while functioning in this world redirect our heart from matter to Krishna. The path to the eternal is eternally available for sincere spiritual seekers, but it is reiterated at specific times in universal history. So when we study the past, the purpose is to understand the social context in which the path to the eternal was taught and tread. And we study the past thus with an awareness of the present to understand, with the guidance of expert Gita savants, how we can tread that path in the present. The focus of Gita study, then, is neither the past nor the present but Krishna. For, as the Bhagavad-gita (15.15) indicates, he is the giver of the path, the goal of that path and the guide who is present in our heart to help us along the path.